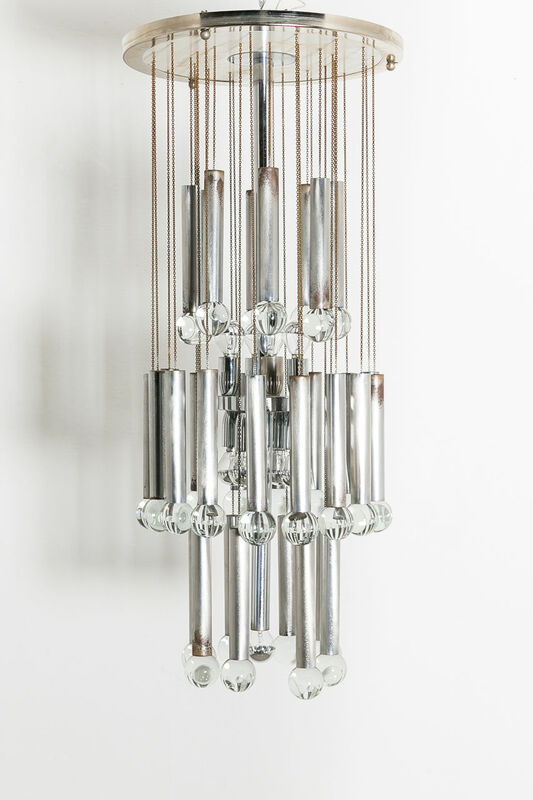 Gaetano Sciolari Chandelier. 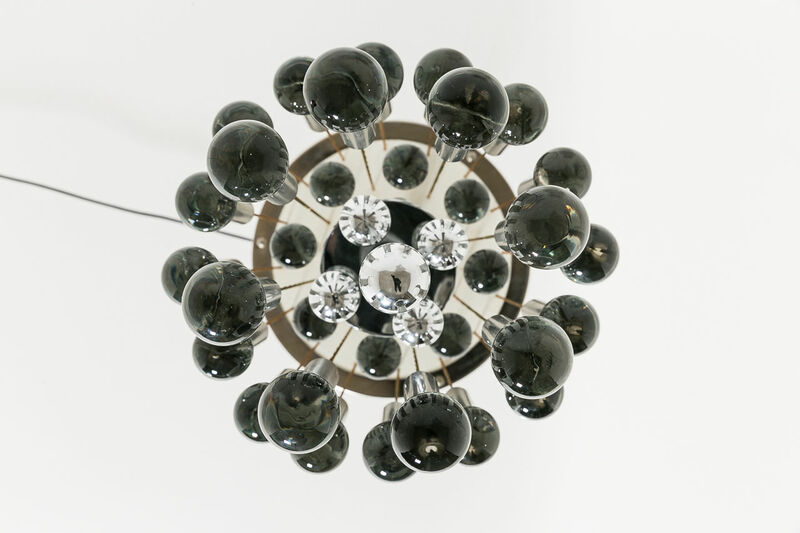 Circa 1970, Italy. 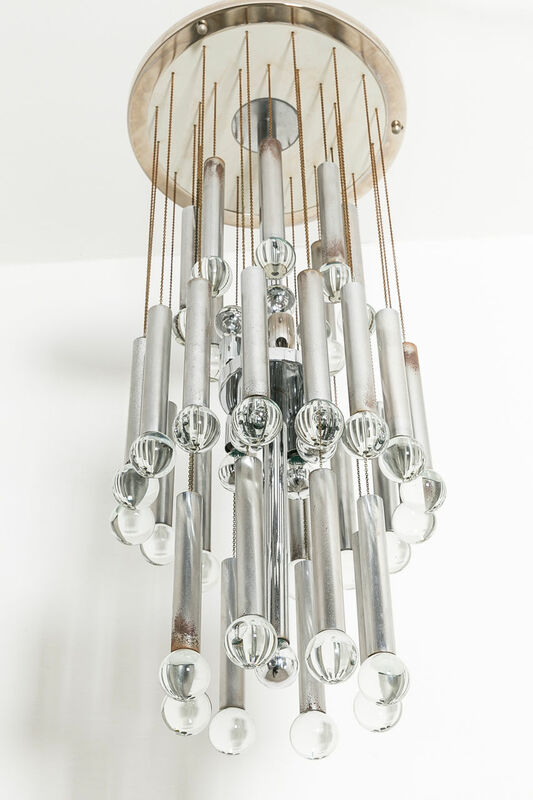 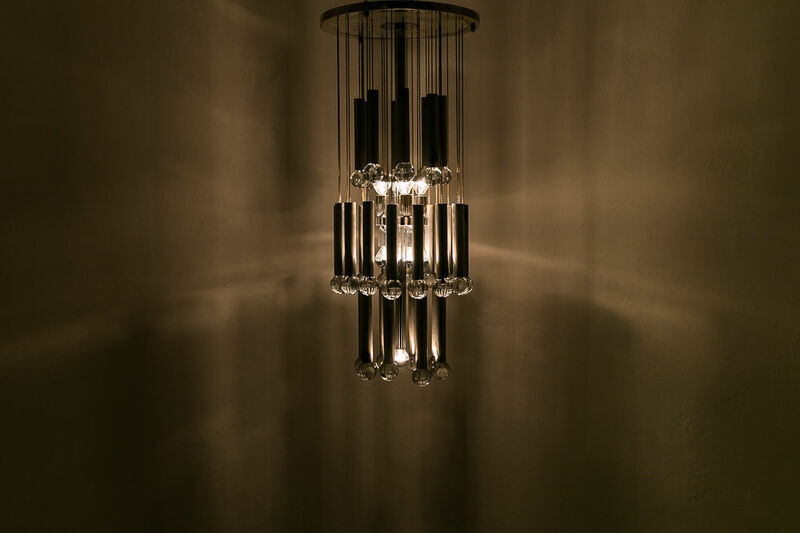 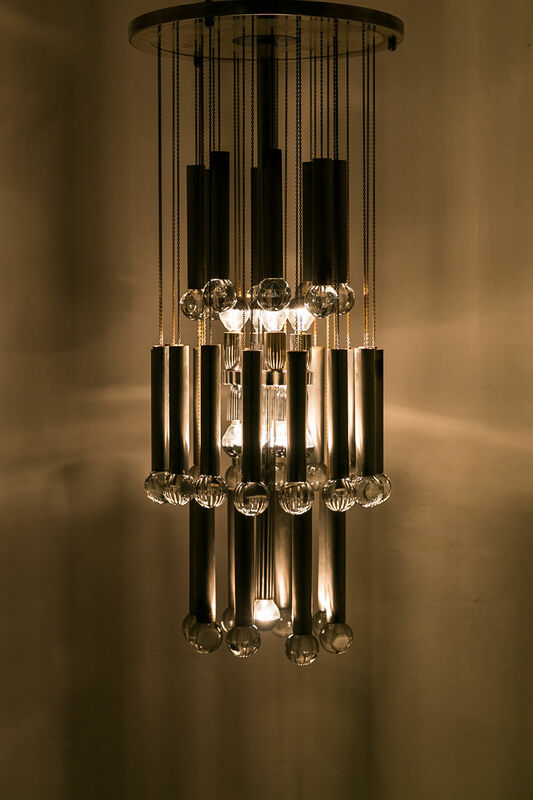 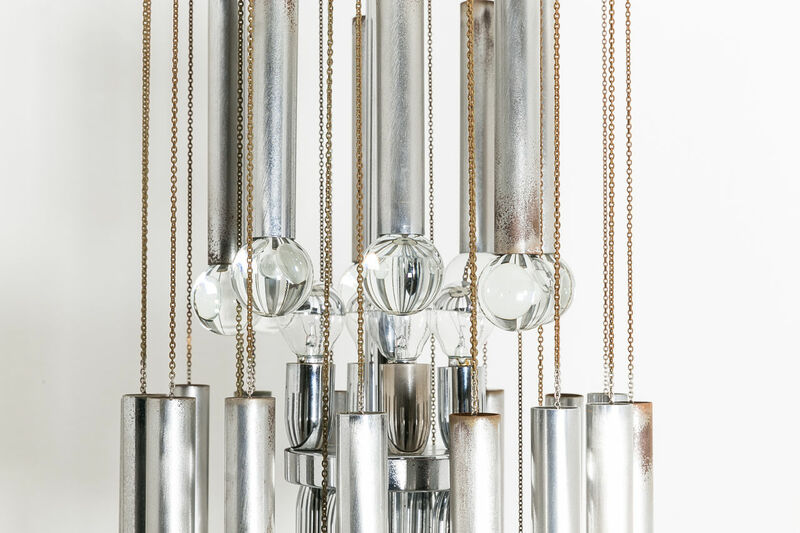 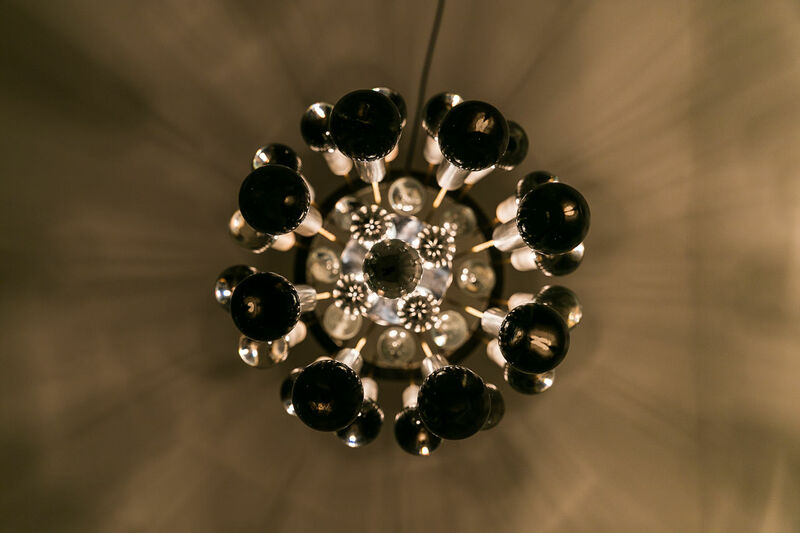 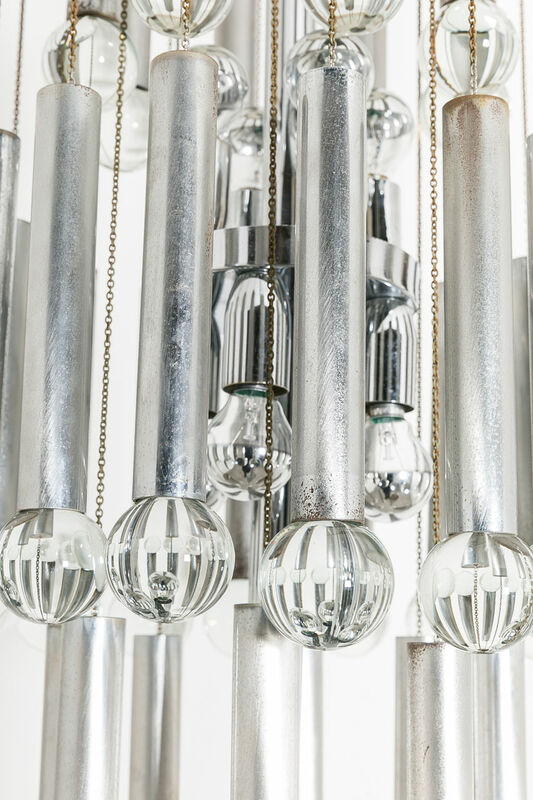 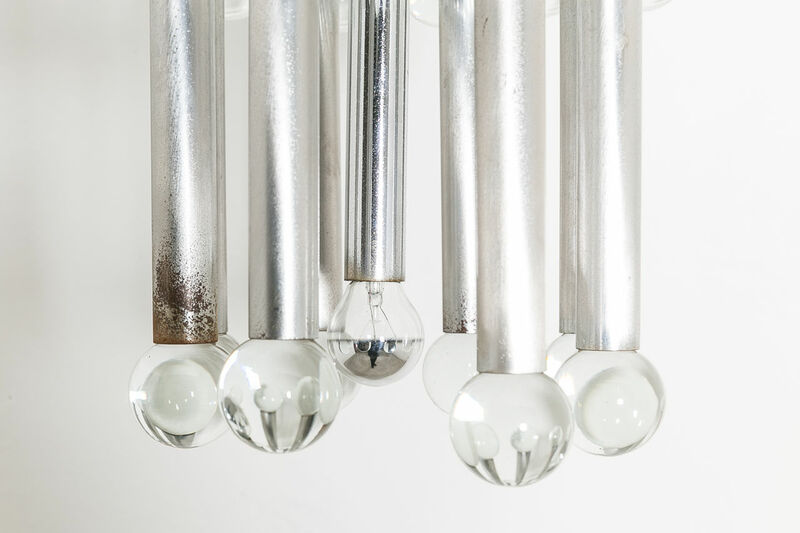 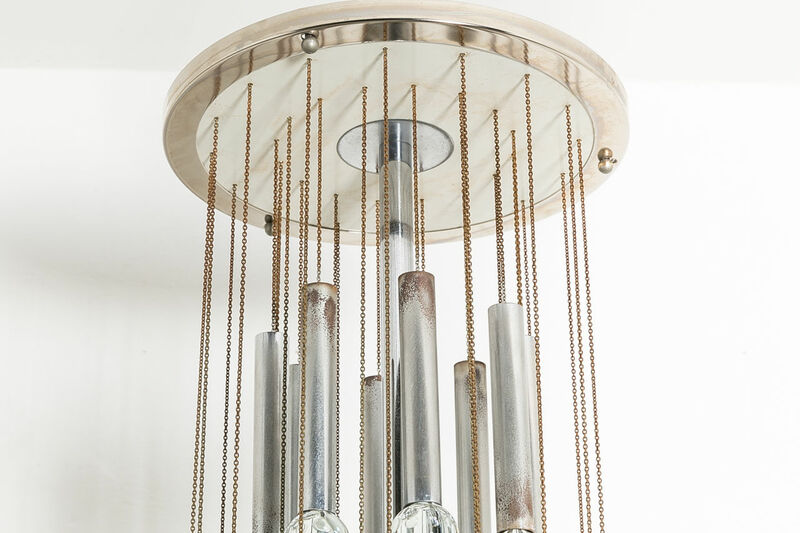 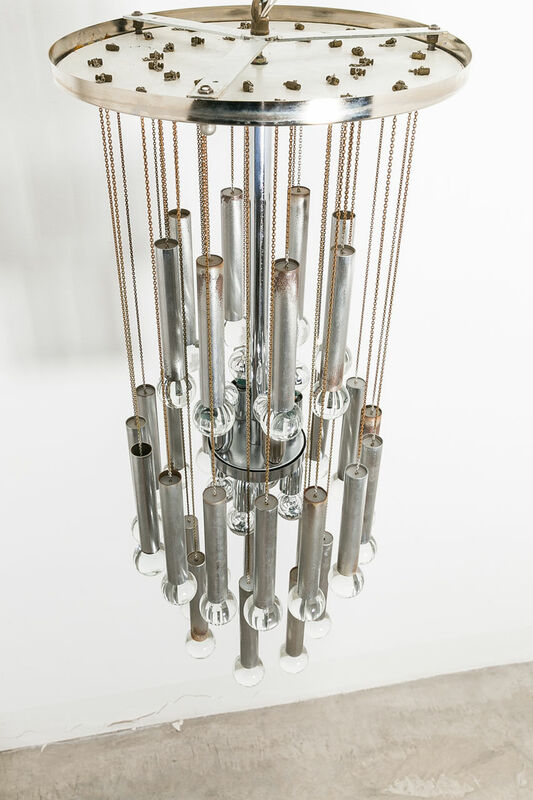 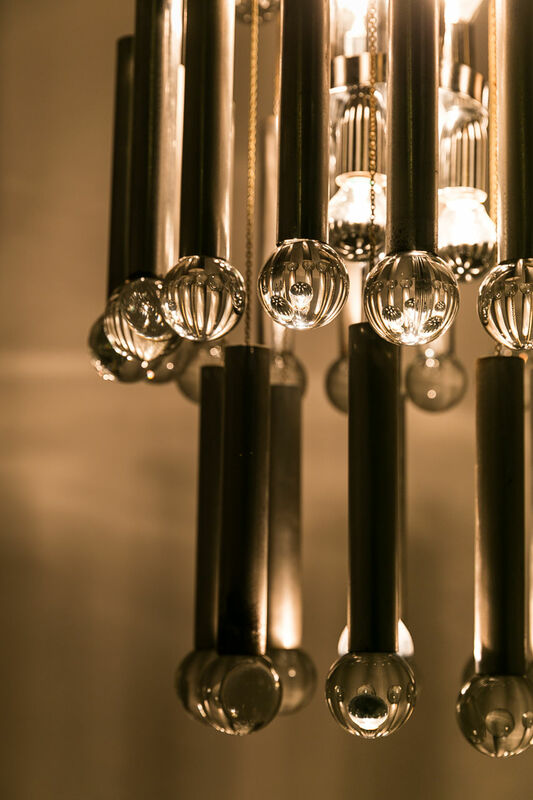 | Castorina & Co.
Gaetano Sciolari Chandelier featuring three tiers of chrome cylinders and glass balls. 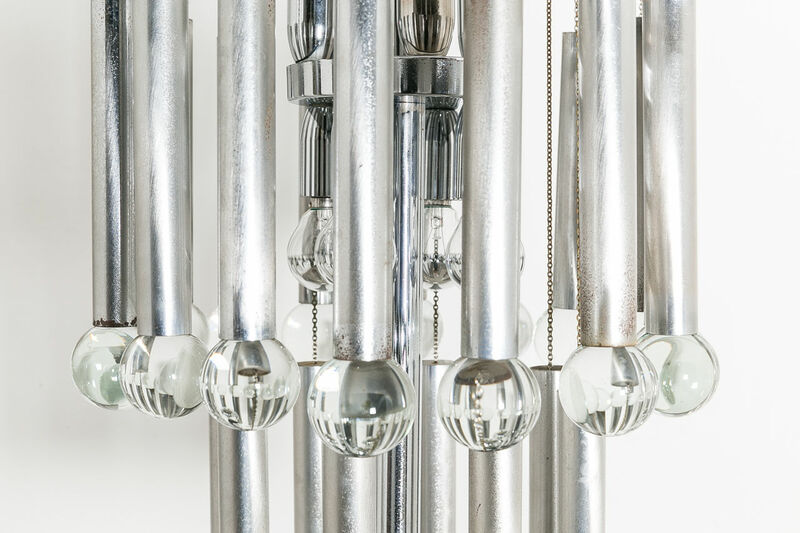 Produced Circa 1970, Italy.